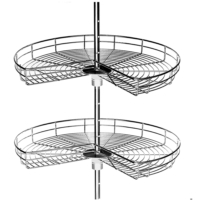 This pull out wire carousel makes a great use of space with 2 baskets and post fixing brackets. 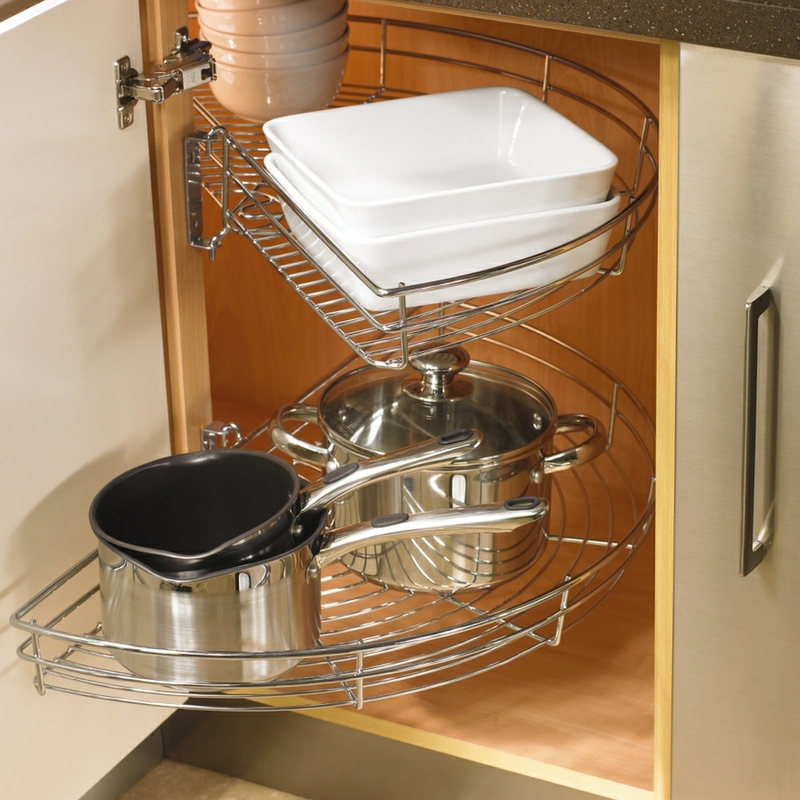 Hafele UK wirework offers high quality for the budget conscious consumer. A complete range is on offer including corner units, larders, carousels, wire baskets and more. Whatever the application, this range has the solution! Hello, Are these fixed independently, i.e. does each shelf just get attached using a hinge? or are they attached to a vertical rod? If a rod, what is the height minimum requirement please?